Covers basic confined space entry skills, along with more advanced confined space training, including gas testing and the issuing of work permits. this is the course you need! Funding is available for eligible members of the construction industry. If you are eligible, you may be able to pay only $178.00 (a saving of $300.00!). Check your eligibility and apply now. 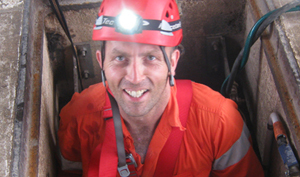 Anyone who may need to supervise other workers during confined space operations. This course covers everything from our regular Confined Space Entry 1 day course, with an extra day for the content and practical activities relating to roles and responsibilities of the team, the confined space risk assessment process, gas testing and issuing permits. 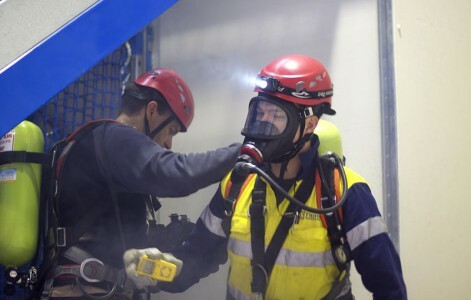 Discharge the obligations of a standby person, and supervise confined space operations. If you need to be able to operate breathing apparatus, please see our Operate Breathing Apparatus course. 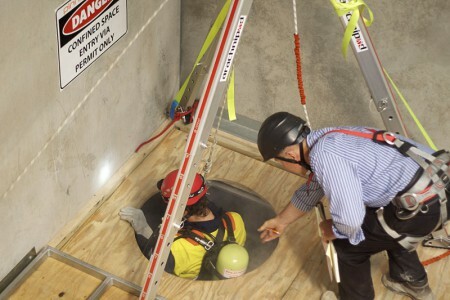 Likewise, if you need to be able to undertake confined space rescue, please see our Confined Space Rescue course. Employers having a group of employees who have completed this course within the last 24 months may be eligible for our Confined Space Refresher program. Find out more here. Shipboard spaces entered through small hatchways or access points, cargo tanks, cellular double bottom tanks, duct keels, ballast or oil tanks and void spaces. 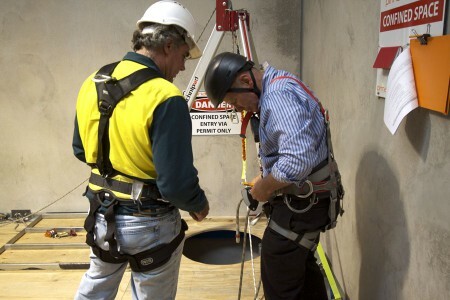 Confined space refresher training is recommended every 12-24 months under Australian Standard AS2865-2009. Two 8-hour days of training. Up to 10-12 (depending on venue) trainees per course. A typical course runs from 0730-1630. This course can be conducted on-site or at any of our purpose built training facilities. Please note: there are specific language, literacy and numeracy requirements of some of the units in this course. Writing is required to the level of completing workplace forms and producing any required reports. Numeracy is required to the level of being able to correctly differentiate between high and low pressures and temperatures, voltages or masses and interpret gas test/monitoring results. We can supply all equipment necessary for you to undertake training. Appropriate clothing, closed in footwear. Great trainer for the course, Lester did a great job of keeping me involved and interested which would not have been easy as I have done this course twice before. I came out of the course with a greater knowledge and understanding of what a confined space ticket allows me to do/not to do. I have been in my industry for over 10 years, so to say I learnt something new about something I do every day is great and I put that down to Lester’s training methods. I found Kerryn to be an excellent trainer and presenter who was able to share her industry experience well. The fact that she regularly provides Confined Spaces services to industry reflects well. Good to see a company and instructor not just a tick and flick motto. I had done this course through another company a while ago and was nowhere near this standard.